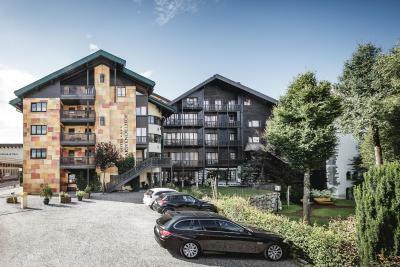 Lock in a great price for Hotel Karwendelhof – rated 8.4 by recent guests! 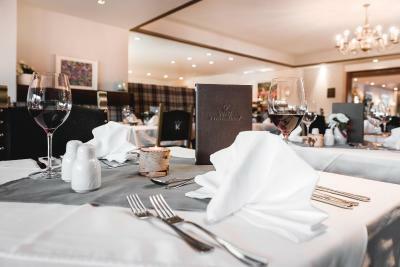 Excellent staff , perfect room and very good size ; excellent location. Service is perfect. Cozy and excellent ski resort town. The team were wonderful! Everyone was very welcoming throughout the whole stay. They did everything they could to make our stay enjoyable. They were very friendly and helpful! The food was very good. I am vegetarian and my husband is not and there was plenty for us both to eat. The room was big and clean and warm and comfortable. The view was beautiful of the mountains. This hotel is outstanding, the facilities are first class and everyone who works there was exceptional. 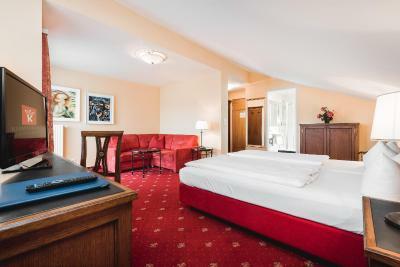 If you are looking for a warm, friendly hotel in the centre of town, close to everywhere then this is for you. Bed was really comfortable. Shower was fantastic!! Sehr freundliche Mitarbeiter, gutes Klima. Die Betten waren hervorragend. Wunderschöne Lage, Sehr Nette Personal! All-Inklusive war TOP! 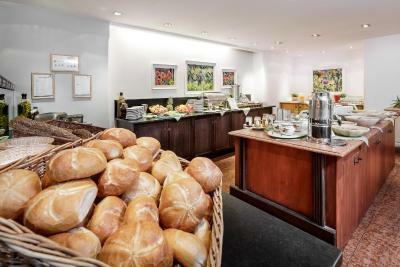 Ich würde den Hotel 100% weiter Empfelen und ich würde den Hotel gerne wieder mal besuchen! 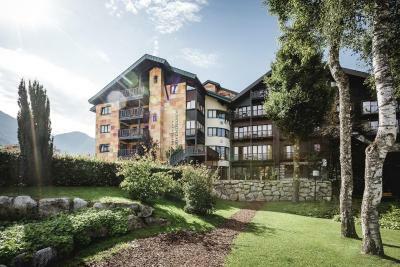 Hotel Karwendelhof This rating is a reflection of how the property compares to the industry standard when it comes to price, facilities and services available. It's based on a self-evaluation by the property. Use this rating to help choose your stay! 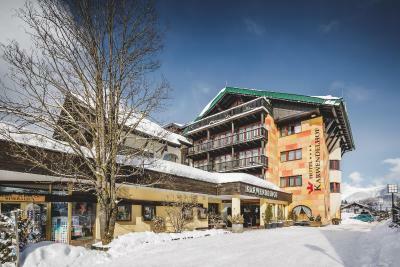 Renovated in 2013, Hotel Karwendelhof is located in Seefeld's pedestrian zone. 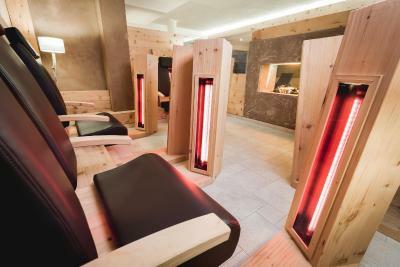 It offers free access to the sauna, steam bath, an infrared relaxation room and free use of the village shuttle bus. Free WiFi is provided in the lobby area. 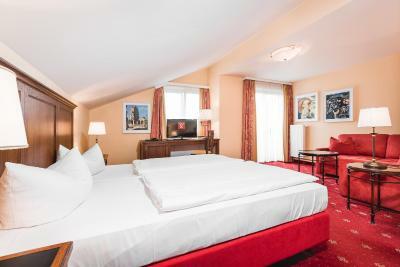 The rooms are equipped with cable TV, safes, hairdryers and work desks. 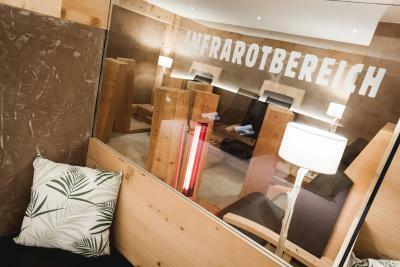 The interior includes modern Tyrolean furniture and a natural color scheme. 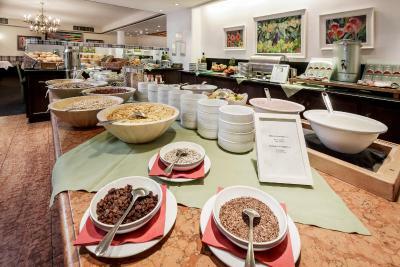 The all-inclusive rate consists of buffet breakfast, an afternoon snack with sweet and savory delicacies, soup, bread, cake, coffee and tea, and dinner from the buffet or a 4-course meal. From 7:30 to 22:30, all alcoholic and nonalcoholic drinks are included. The Olympia swimming pool, which is a 4-minute walk away, can be accessed with a small reduction. 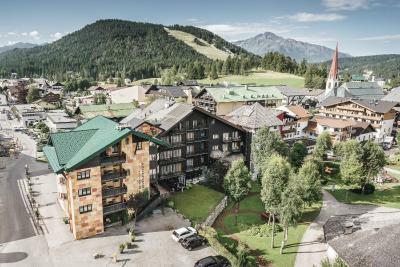 Guests receive a 30 % green fee discount at the Golfclub Seefeld and a 35% green fee discount at the Golfclub Wildmoos. With the regional guest card, which is available at the reception, guests also receive a reduction at the bicycle rental. 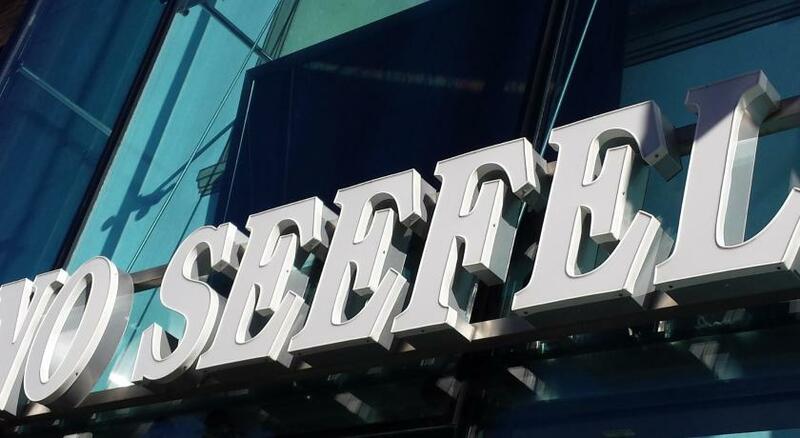 The on-site Seefeld Casino is decorated in an Alpine style and offers various gaming possibilities. 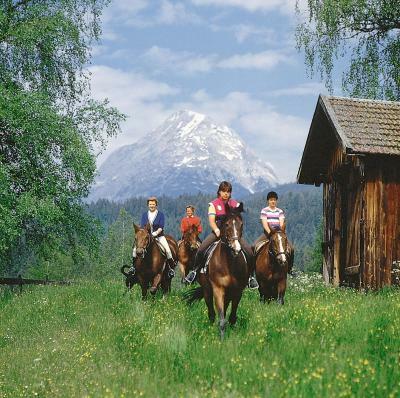 Horse carriage trips and guided walks and mountain biking tours can be organized in summer. Sledging, curling and nightwalks are available in winter. 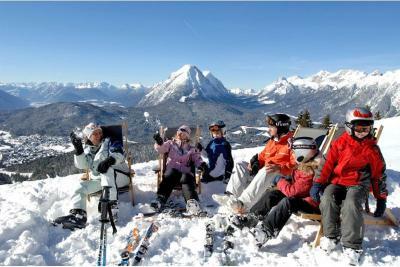 A ski bus, which stops in front of the property, takes guests to the Rosshütte and Gschwandkopf ski areas for free. 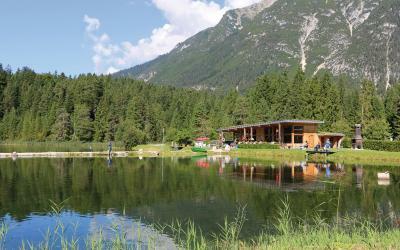 Cross-country trails are a 5-minute walk away, discounts are available with the Gästekarte Seefeld provided at check-in. 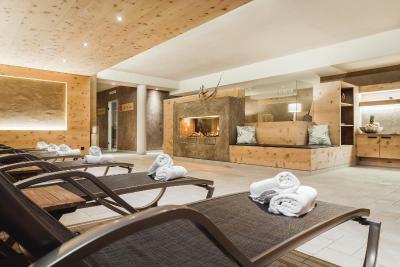 This is our guests' favorite part of Seefeld in Tirol, according to independent reviews. 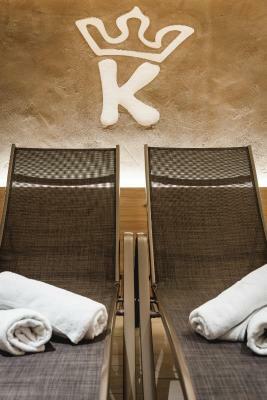 When would you like to stay at Hotel Karwendelhof? This bright, colorful suites features a balcony, a spacious lounge area with flat-screen cable TV, sofa, tea-making corner and free WiFi. 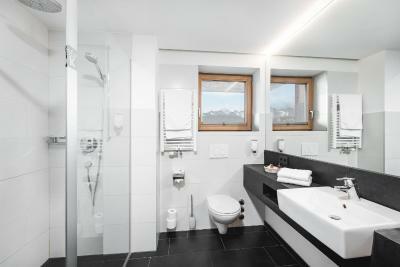 The stylish bathroom includes a bath tub, with shower cubicle and washbasin under a large mirror. This spacious suite features works of art and has a private balcony and combined sleeping and seating areas. Amenities include a flat-screen cable TV and free internet access. 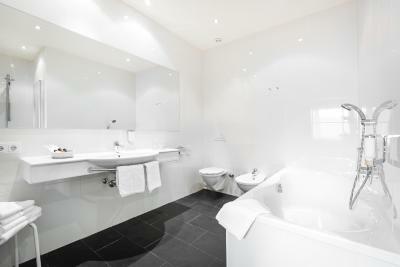 Bathroom comes with bath and shower cubicle, some with units also feature bidet. 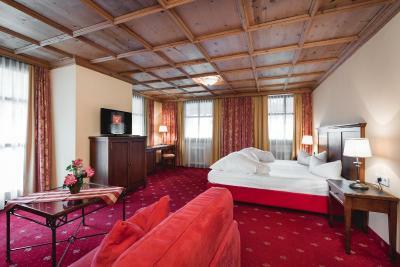 This Tyrolean-style room comes with a small seating area with 2 chairs, a TV, and a bathroom with a bath. All rooms have a private south-facing balcony to the pedestrian street. 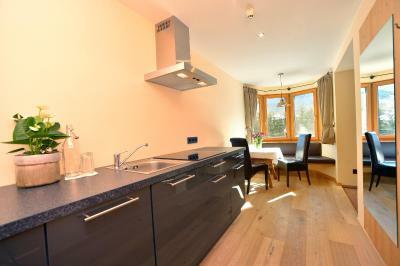 En-suite double room with seating area, south-facing balcony, TV, radio and safe. There is a walk-in shower. These rooms are also suitable for people with limited mobility. Modern room with a seating area with a mountain view, a box- spring- bed and a desk. 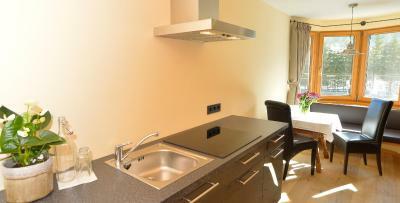 Small kitchenette. Bathroom comes with a walk- in shower. Room has no balcony, but features a big window to the south and oriel with a mountain view. 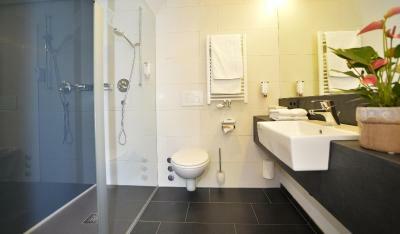 These rooms are also suitable for people with limited mobility. 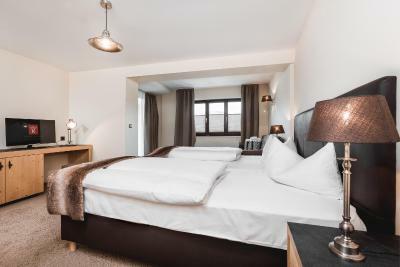 This eb-suite Alpine-style room comes with with a south-facing balcony and a seating area, with the walk- in wardrobe, a flat-screen TV, a telephone and a safe. Bathroom has a bath tub, a toilet, a bidet and a hairdryer. There is also a sofa bed for children or third person on request. 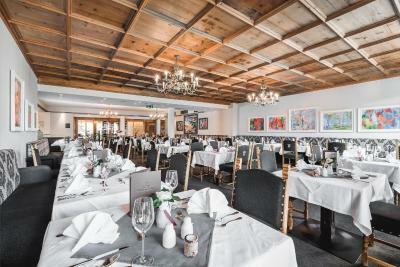 Built around 1930, the hotel looks back on Karwendelhof Seefeld in a fairly short, but exciting history. It is a home that is loaded with many still perceptible emotions, a house of arts and hidden desires. In 2013 our house was completely renovated and partly rebuilt, so our guests can enjoy a brand new SPA area with 2 saunas, herbal steam bath, Infrared oasis and new relaxing zones with water beds. 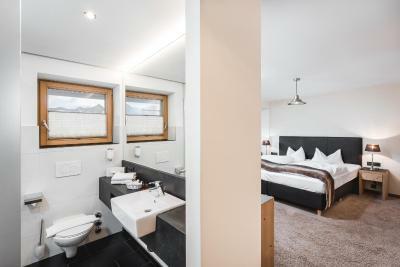 Also new double bed rooms with balconies and a stunning view on the Tyrolean Mountains were newly refurbished. 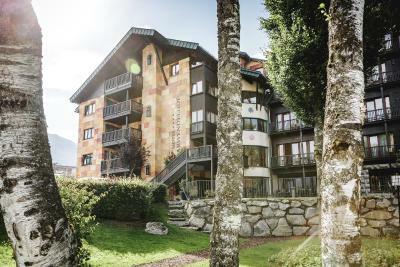 Our hotel is the perfect destination for bike and hike tours in the region, because of our location also a great spot for your next winter or skiing holidays in the Alps. 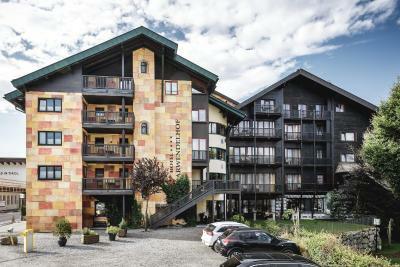 House Rules Hotel Karwendelhof takes special requests – add in the next step! 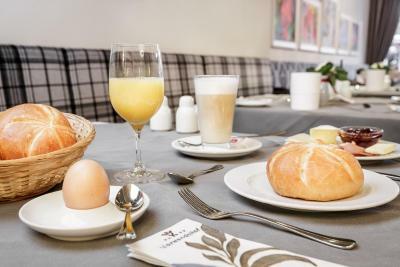 Hotel Karwendelhof accepts these cards and reserves the right to temporarily hold an amount prior to arrival. Please note that on 24 December and on New Year's Eve all alcoholic and nonalcoholic drinks are included until 18:30. Food is very good but could have more variety as it was very limited and repeated. Wifi was hit or miss in our room on the 3rd floor, could do with a stronger signal. Perfect in bar area. Pillows were very soft, loose, feathery pillows but extras are provided.